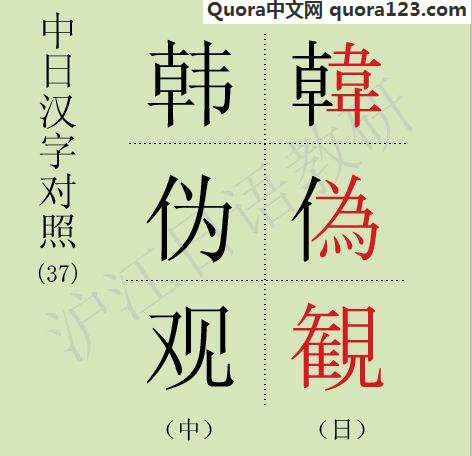 Which is easier: a Chinese person to learn Japanese, or for a Japanese to learn Chinese? I have yet to try my hand at studying Chinese, but one thing I can say for certain is: whilst I doubt that Japanese is part of the standard school curriculum in China, Chinese (or at least, ancient Chinese literature) is a must for Japanese students starting from middle school. This doesn’t mean that we learn to speak the language. However, we study the works of the great poets such as Du Fu and Li Bai, together with a system of annotating the original text to change the word order and add postpositional particles and auxiliary verbs so that the sentences make sense in Japanese. Naturally, we use the Japanese readings of the relevant kanji, so we ignore pronunciation completely, although helpful teachers will explain how certain stanzas would have rhymed in the original Chinese. In high school, we move onto excerpts from Confucius, Lao Tzu and other philosophers. Entrance exams for top-ranked universities might have a paragraph of unmarked original text for the student to annotate before answering questions about its content. So, theoretically, if you were really good at this, it would mean that by the time you entered university, you would have a decent understanding of sentence structure and word order in Chinese in addition to knowing a lot of the characters that are used. In fact, a friend at university who had loved studying the works of Chinese philosophers as a high school student said that the intensive Chinese course (rumored to be one of the most difficult language choices available) was a breeze for him, except for the pronunciation! It’s definitely easier for a Japanese person to study Chinese. Most Chinese characters (which Japanese already know) have only one pronunciation. There are no tricky conjugations and formal language like in Japanese to learn. Anecdote: I once went to a Chinese speaking meetup in Tokyo to practice my Mandarin (I speak pretty good Mandarin). 80% of the Japanese at my table were just as good as me (except for their pronunciation). They thought Chinese was much easier for them to learn than English.